I hope you guys have a wonderful Labor Day and enjoy the long weekend with your friends and family! Praying this tropical storm doesn't get too out of hand, and that everyone stays safe. We don't have too much going on tonight and tomorrow, but we do have a BIG beach day planned on Sunday with lots of friends on Folly Beach. I am super excited to wear this swimsuit that I ordered from the end of summer Mara Hoffman sale! As usual, with any big holiday there are always big sales happening! Nordstrom- Summer Clearance Sale just started today!! 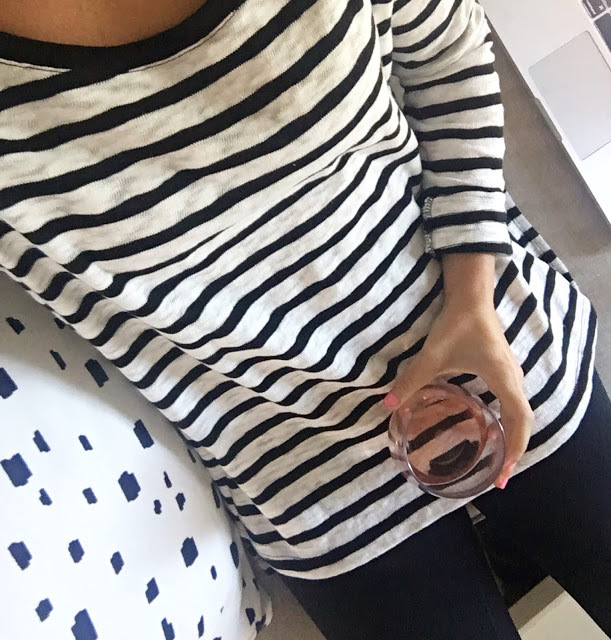 This adorable stripe sweatshirt I blogged about Tuesday was just marked down 40% off making it only $24!!! I am so in obsessed with the pair of Margot booties that I grabbed durning the sale, and I love this rich gray suede that they just added to the summer sale! 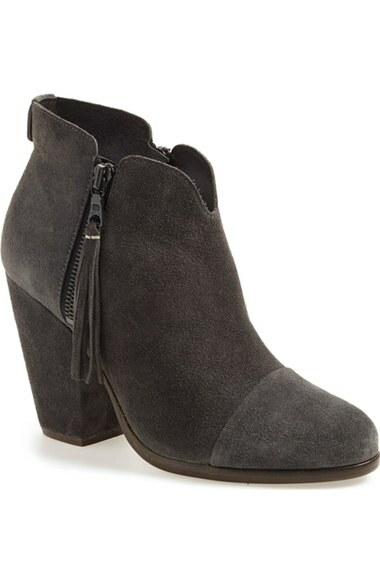 Also these Rag and Bone booties are pretty amazing too! // Even though this little off the shoulder dress isn't part of the sale, it's only $49 and I have a feeling it will sell out super fast! Dress runs super big so size down!!! Anthropologie- Extra 40% off of all sale items! Ella Moss- 25% off of everything......including sale items!!!! Loft - Buy one style, get the next 50% off, plus, take an extra 50% off all sale styles! J.Crew - Online only - save 30% off your order of $200+ or 25% off $150+. Use the code SHOPMORE to save. Tea Collection - 20% off the entire site (including sale) + Free Shipping!! Caycee - what size are you wearing in that off the shoulder dress? Love it!